Teeth with tarter and bad breath are not only a cosmetic issue but can be a contributing factor to such concerns as heart disease, kidney failure, sinus infections, and diabetes as well as a whole host of other systemic diseases. According to the American Veterinary Dental Society, 80% of dogs and 70% of cats by 3 years of age have significant dental disease. An animal with healthy teeth will enjoy a happier healthier life. Keeping a pet's teeth and gums healthy takes a combination of home care and regular teeth cleaning by a veterinary professional. Home care can consist of two types, active cleaning and passive cleaning. Active cleaning is achieved by brushing your pet's teeth once a day. This is the best way to decrease tarter accumulation on your pet's teeth. If you are unable to brush your pet's teeth, passive forms of cleaning teeth can be done by offering your pet dental treats such as raw hides, milk bones, or various commercial dental chews. 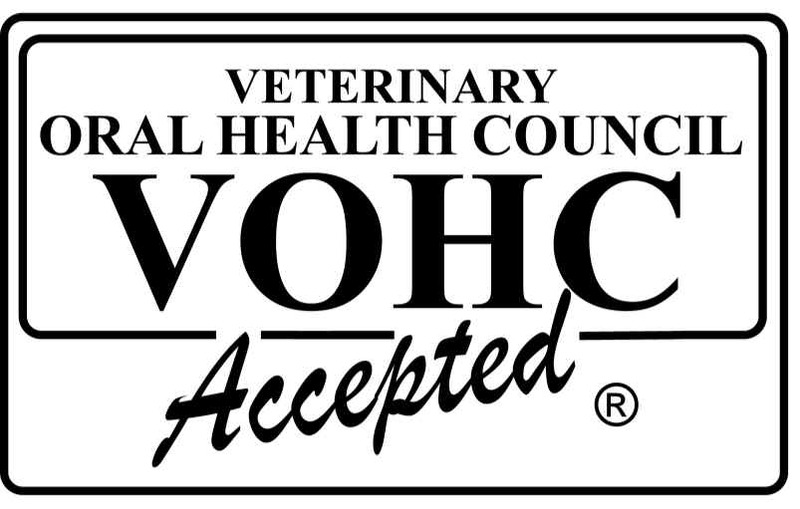 Look for treats with the Veterinary Oral Health Council's seal of approval. Despite doing dental care at home, tarter will accumulate on your pet's teeth just as it does our own. Your pet's teeth, similar to ours, need regular teeth cleaning by a professional. Jefferson Veterinary Clinic S.C. offers dental cleaning for your pet to remove tarter and polish their teeth. By doing regular cleanings you can prevent or slow the progression of dental disease in your pet. This will give them the long happy life they deserve.